Welcome to Ace Termite & Pest Solutions – your local, friendly, family-owned pest solution company! 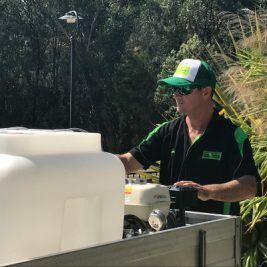 Ace Termite & Pest Solutions is a locally owned, family business offering pest control and termite treatments throughout the Sunshine Coast. We are committed to providing the best customer service together with professional and effective solutions for all pests, including termites. Our business is built on reliability and offering quality service with a smile. We provide reliable, family-friendly and environmentally-smart pest control at an affordable price. It’s our promise to guarantee your satisfaction with every job we do – 100%. We provide safe and effective treatments for residential, commercial and industrial properties for any kind of pest problem. Using the highest quality products available on the market ensures that our solutions are both environmentally friendly and totally safe for you and your family. Our work is safe, effective and totally guaranteed because our technician is fully trained, licensed, insured and experienced! Ace Pest & Termite Solutions keeps up with the latest industry developments and announcements via involvement with the Australian Environmental Pest Managers Association (AEPMA). AEPMA represents professional pest managers across Australia, sets industry standards and provides information to consumers on urban pest control. 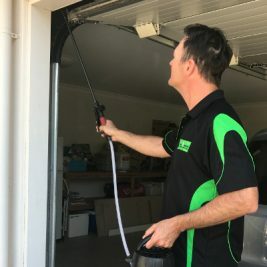 Based in Caloundra, Ace Termite & Pest Solutions offers pest control services throughout the Sunshine Coast. We are more than happy to assist you with your pest infestation problems, so contact us via phone or email to arrange a suitable time. Our experienced technician has the following qualifications and licenses, ensuring you can have complete confidence in choosing Ace Termite & Pest Solutions for all your pest inspections, management and treatments. Queensland Pest Management Technician Licence (1006429017), including timber pests. 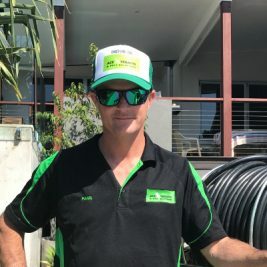 Ace Termite & Pest Solutions is a family-owned business, based in Caloundra, QLD. We are committed to providing the best customer service together with professional and effective solutions for all pests, including termites. We provide pest treatment and management services for the Sunshine Coast.